The Wooden Shoes Museum Wietzes Bros. in Eelde, in the head of Drenthe, is named after the two last clog makers in Eelde: Eiso Wietzes (1916 - 1977) and Egbert Wietzes (1925 - 1988). Not only did they manufacture consumer shoes in a very professional manner; they also collected clogs from many countries. After the death of Egbert, the Wooden Shoes Museum Wietzes Bros. Foundation manages the collection of clogs, about 600 pairs, and clog maker tools. In 1990, the Wooden Shoes Museum Wietzes Bros. opened in Eelde. In 2002, the total collection comes into the possession of the Wooden Shoes Museum. This collection was expanded in 1990 with a collection of clogs and unique wooden shoe making tools from the Netherlands, Belgium, Denmark, Germany, France and Spain from Mr. HP Bongers from Enschede, teacher at a Technical School in Enschede. The International Wooden Shoes Museum owns the largest and largest collection of clogs in Europe. The collection is still being supplemented with gifts and purchases: In 2009, the museum's management was able to purchase a large collection of unique, almost 600 pairs of clogs from France. The collection now consists of more than 2,400 pairs of clogs from around 43 countries. - more than 2,400 pairs of different clogs, wooden soles and other footwear with a wooden sole from around the world. The largest and most comprehensive collection in the world. - archival material about the clogs and the collection of the museum, information material, such as books, newspaper articles, photos, etc. etc. Important pillars of the Wooden Shoes Museum are the extensive collection and healthy management. But the museum can only exist through the deployment of about 60 volunteers. All volunteers are equivalent to the museum, whether you are a hostess, a tour guide or a board member. The foundation board consists of cooperating board members, who in this way keep in close contact with the employees and stay abreast of the daily ins and outs. Below you will find information about becoming a volunteer at the museum, adopting clogs, becoming a friend, donations, our organization and links. Put your talent, knowledge and or expertise for the Wooden Shoes Museum. The International Wooden Shoes Museum in Eelde does not exist without volunteers. If you have time and want to do something, put your talent, knowledge and / or expertise for this International museum. Currently there are about 60 volunteers. Do you think that's a lot? With many visitors annually and the enormous collection described above, there is more than enough to do! And our volunteers often work together and look for each other's company. Volunteers cooperate fully in the 'company' that is the Wooden Shoes Museum. They are host or hostess, lead guests around in Dutch, English or German, think along about the annual exhibition and help organize them, take care of the reservations of groups, planning the deployment and occupation of volunteers, support in technical matters, purchase of materials, providing publicity and maintaining communication through a newsletter, the website, and regular media attention. And of course some of them take a seat on the board. We give our volunteer a warm heart and offer a lot: a warm environment where you have social contacts, meetings around New Year, for the opening in March, an interim evaluation of the season in June, a final evaluation in November and a trip with all volunteers to a fellow museum with dinner to end the year. We have the necessary insurance for the volunteers of the municipality of Tynaarlo, including the accident insurance, the third party insurance, legal assistance insurance, etc. If you want to know more about the Wooden Shoes Museum, please feel free to contact: Bertus van den Hof, tel. 06-27244459. You can also send an e-mail to [email protected], we will contact you as soon as possible. Why do we want you to adopt a pair of clogs? In due course, the museum wants to realize a new and larger museum. Funds are needed for all of this; that is why fans of the museum can adopt a few clogs. Your name comes with the relevant clogs in the exhibition and on the website, you get free access for 2 people to the museum, a private festival around the annual opening of the new exhibition with a snack and drink and a picture in the list of clogs with your name. You can use this as a company for your publicity. What does it cost to adopt a pair of clogs? Of course, the Wooden Shoes Museum has a lot more clogs than the clogs hanging on the wall. The adopted clogs that are not in exhibition are hanging in photo frames in the coffee room of the Wooden Shoes Museum. What will you receive for this? - you can use this as a company for your publicity (goodwill). Of course, the Wooden Shoes Museum has a lot more clogs than the clogs hanging on the wall here. The museum does not receive subsidies from the municipality and / or the province and must therefore be able to save it on its own. There are several ways to support the museum and every financial contribution is welcome. Besides donations and adoption of a pair of clogs, there is the possibility to become a Friend. For 25.00 euros per year you are already a Friend. You receive our news bulletin "Museum messages" twice a year and you have free access for 2 persons. 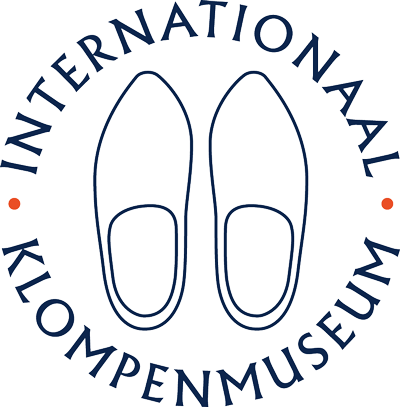 I register as a Friend of the International Wooden Shoes Museum. As a Friend I am kept up to date via the Newsletter. I also have free admission to the museum, together with a housemate. You will receive a confirmation of your registration and an invoice for the contribution. The Wooden Shoes Museum Wietzes Bros. Foundation is regarded by the tax authorities as a General Benefit Institution (ANBI). How does ANBI work in your favor? Donations to organizations with ANBI status are tax deductible. The Tax and Customs Administration works with a threshold for this. All donations you make to ANBI institutions must be more than 1% of your taxable income. Everything you donate above is eligible for deduction. This threshold does not apply with a periodic gift. With a regular donation, you establish that you give a certain amount of money a fixed amount every year for five consecutive years. A (free) written agreement with the charity of your choice is sufficient for the Tax Authorities. As a result, small donations are also deductible from the first euro, which means that you receive a refund of up to 52% (depending on the taxable income) of your donation from the tax authorities. If you are considering to donate to the Wooden Shoes Museum Wietzes Bros. Foundation, please consider a regular gift. You will then receive a tax deduction on every amount and we have the certainty that we can count on a donation for five years.